We did a complete remodel of this town house for a retiree. 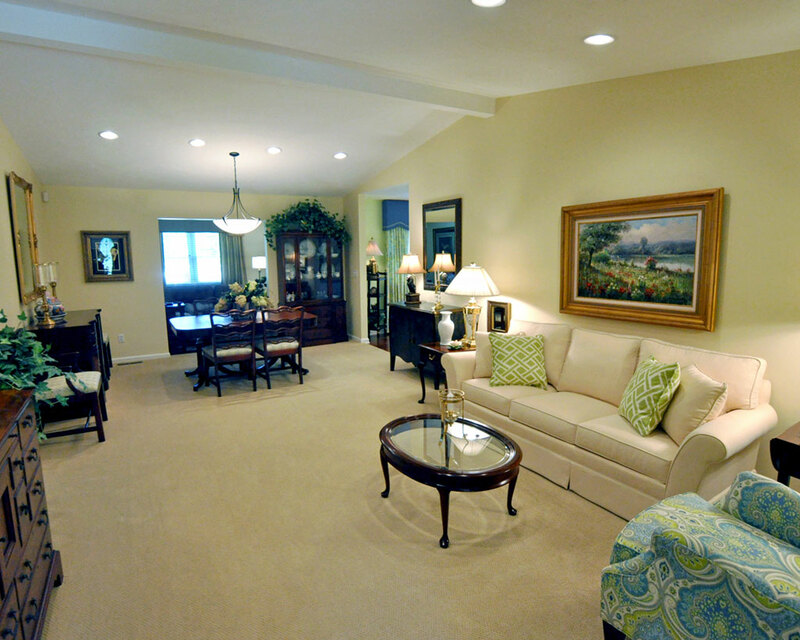 All new carpeting and paint, compliment his existing furnishings. Practical space planning opens up the room and creates a welcoming feel.